Furious 7 has already grossed over a billion dollars at the box office (that’s “billion” with a B), so it’s no surprise that the next installment in the franchise is already in the works. 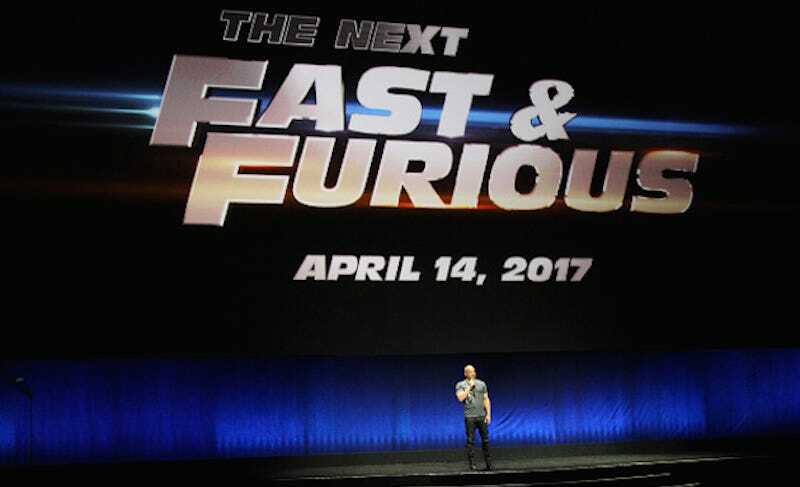 Vin Diesel announced at this week’s CinemaCon that Furious 8 will arrive in theaters on April 14, 2017. “We’re going to make the best movie you’ve ever seen,” said the star of The Pacifier. You’ve got two years to prepare for the next movie. But will you ever really be ready? Nicole Conlan is a writer and comedian living in New York. She has written and edited for Jalopnik, SB Nation, and Sports Illustrated. Nicole also writes for the UCB Maude team Goodbye Handsome. You can contact her on Twitter right here.